Isn't the trench coat one of the most genious inventions? In the fashion world at least it must be. When you're in a hurry you throw it on you with a pair of jeans and a basic white top and ta-taaa you're ready, comfortable and chic. Some of you asked me to show you some easy-to-go outfits so I think this is one of the most basic. This is the kind of outfit I usually wear at the university or when I really need to be comfortable in my clothes. What do you think? Eisai mia koukla!! !Teleia mallakia teleio style ..kai nai exeis dikio!Einai polu boliko! You look so pretty! I love your make up! Έχεις απόλυτο δίκιο!! Η καπαρντίνα είναι άπό τα πιο βολικά κομμάτια!! Πολύ όμορφο ντύσιμο!! your hair really stands out! Love your trench coat!!!! Great outfit!!! you have amazing hair, i love the way you look! Oh my, your hair are to die for! 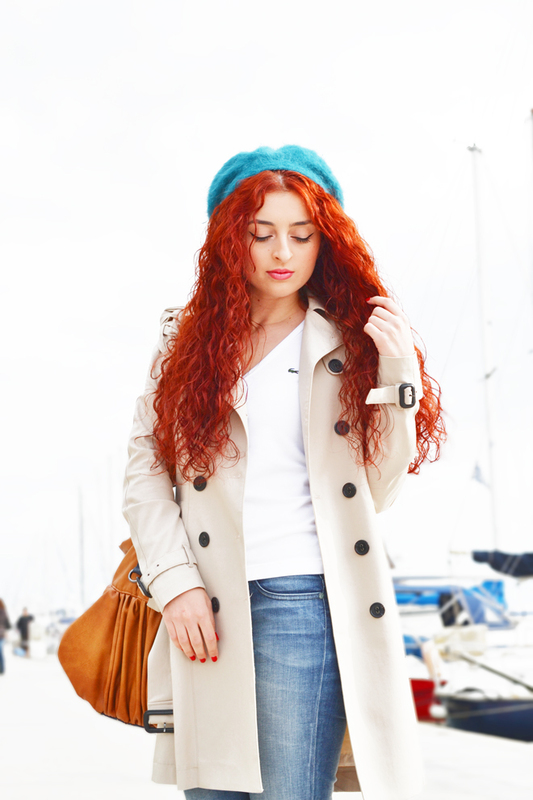 The color and these perfect curles...in love with them!